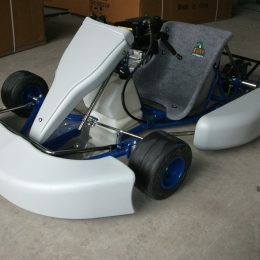 This Kandi KD-49FM5 110CC Go Kart is another quality go kart model from Kandi. 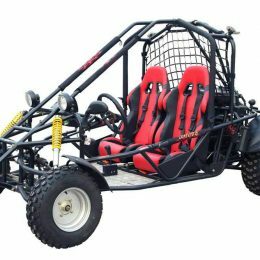 It’s a two-seat go kart with a 110 cc displacement. 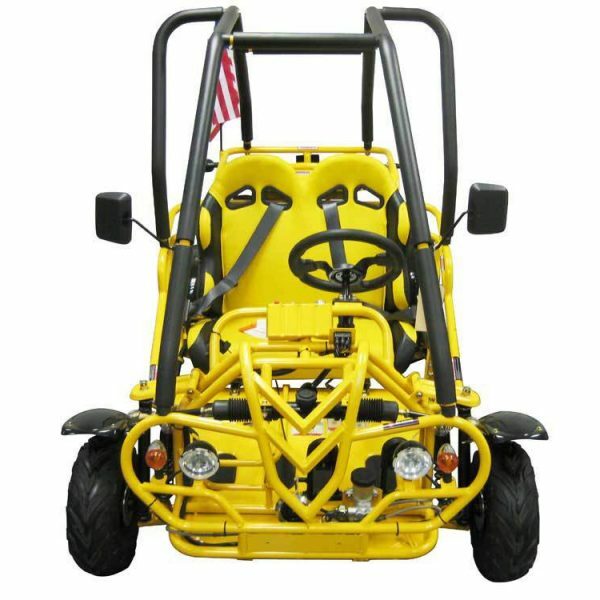 In fact, the model’s many features make it one of the best options available. 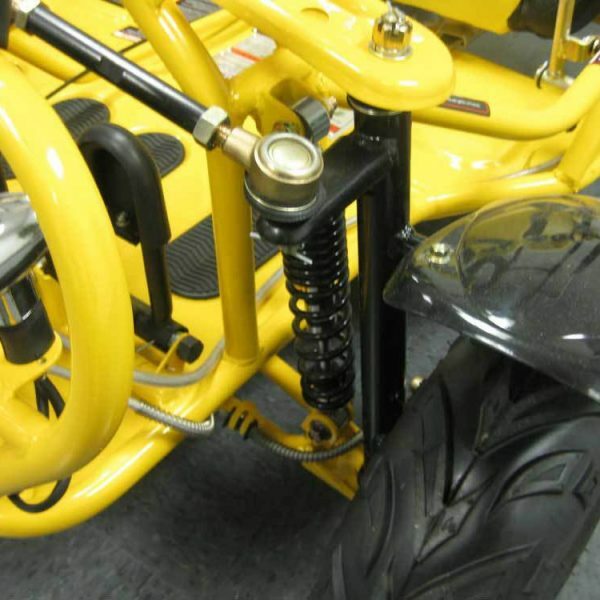 Here are some important specifications regarding the go kart model’s engine and power. 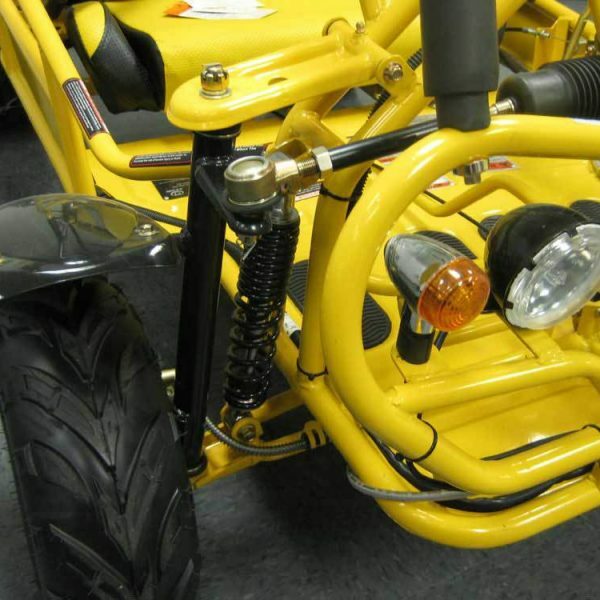 It has a single cylinder, 4-stroke, air-cooled engine. 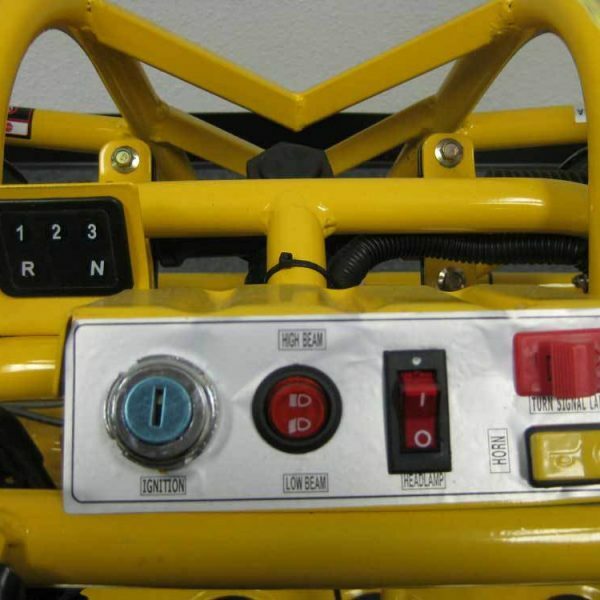 The model’s transmission is a semi-automatic, 3-speed transmission with reverse. 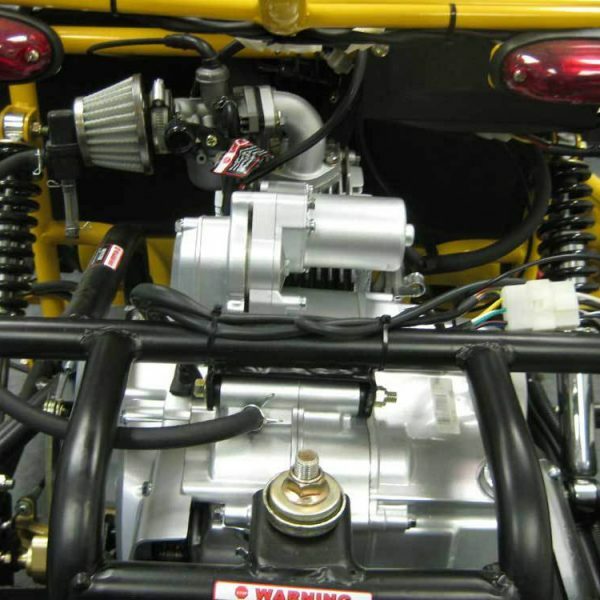 This provides the best of manual and automatic transmissions. 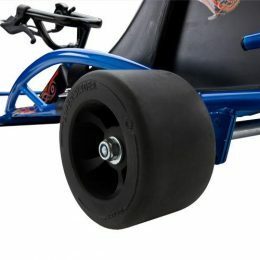 The go kart has a gas tank capacity of .5 gallons, and requires unleaded number 90 or higher gasoline. 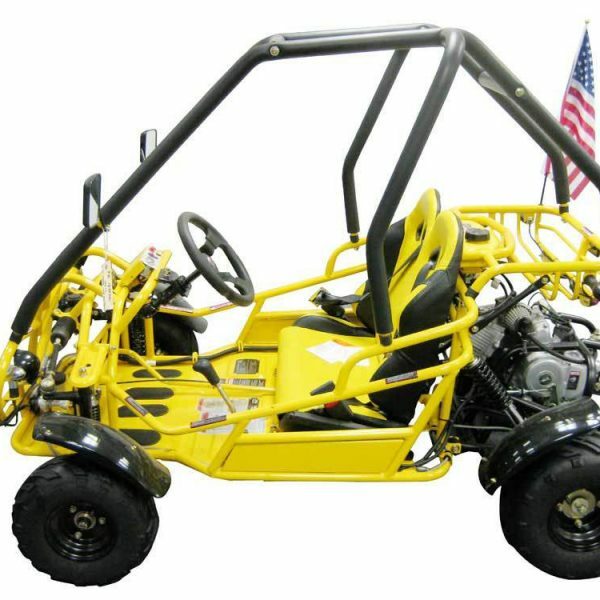 The go kart’s maximum speed is 31 miles-per-hour, and its maximum torque is 4.8 pounds. 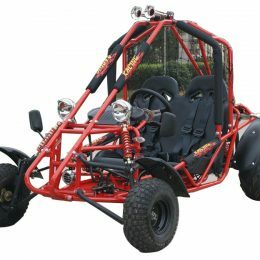 As when choosing other Kandi go karts, selecting the KD-49FM5 110CC will help to ensure that the rider is provided with the maximum amount of safety possible. 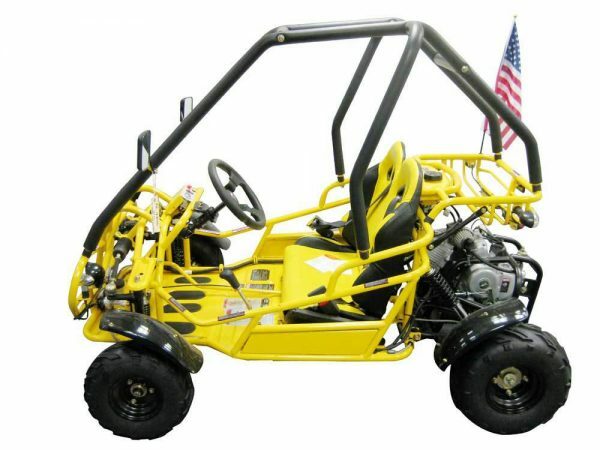 This go kart is extremely fast off the line when I tried my cousins Kart over the labor day weekend. 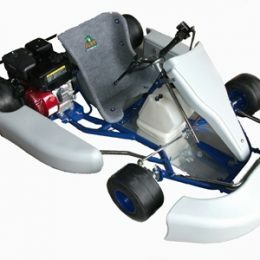 I was overwhelmed by the many go karts brands and could decide which one is the best. 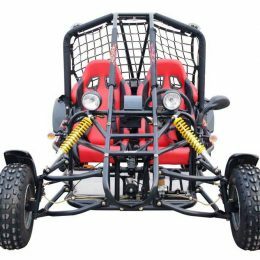 I go through dozens of reviews left by buyers on different platforms and got to conclusion that Kandi is quite good for my needs. 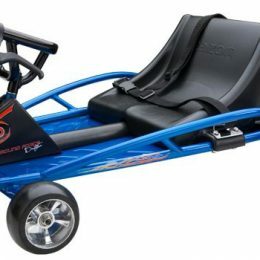 That’s how i end up with this go kart in my house in 7 days after ordering it. 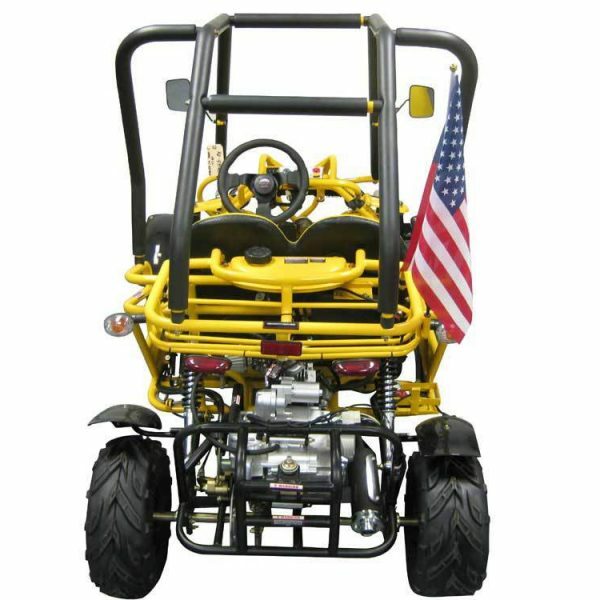 Works great, had no problem with assembly and overall i’m very satisfied with it.